Zero Tolerance 0566 Hinderer Folding Pocket Knife SpeedSafe Assisted Opening | BUDK.com - Knives & Swords At The Lowest Prices! Two forces in the knife world collide with an explosively awesome result in this Zero Tolerance 0566 folding pocket knife designed by Rick Hinderer. 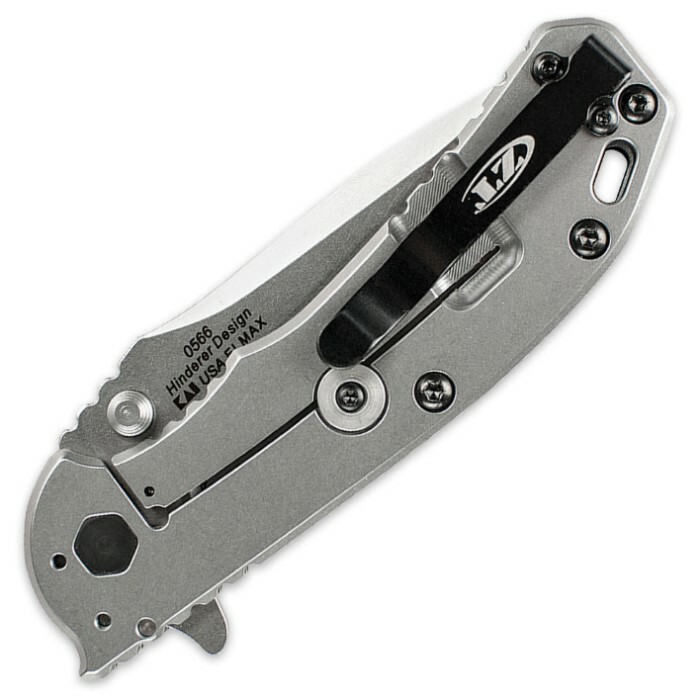 The premium ELMAX powdered steel blade is powered by the top-quality SpeedSafe assisted-opening mechanism. The ELMAX steel blade construction allows you to achieve a razor-sharp blade edge with excellent retention results. 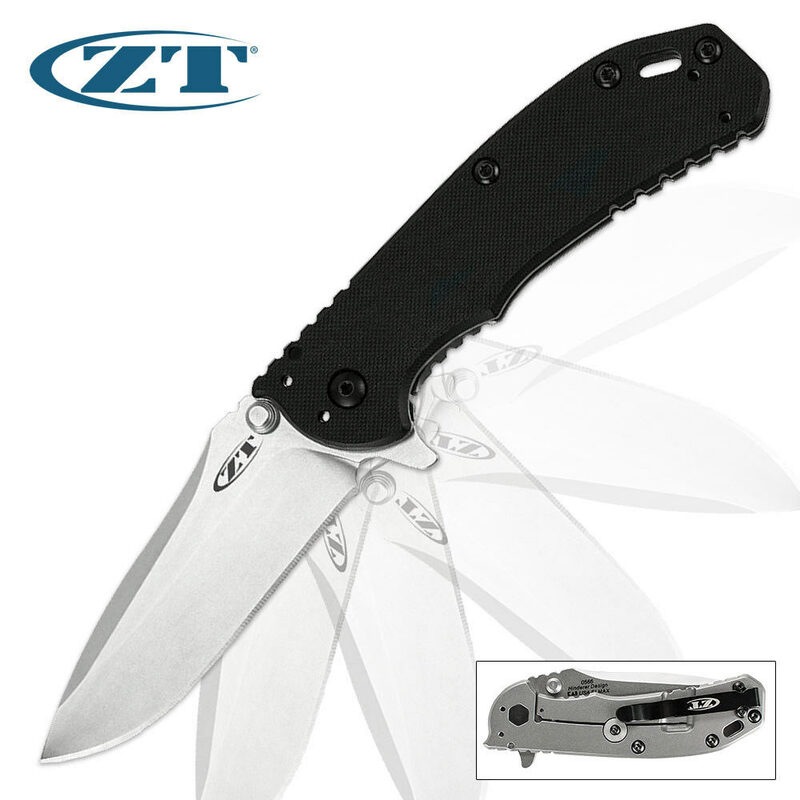 The rugged G-10 handle provides a secure, slip-free grip for precision as you work the blade. A sturdy frame lock and lockbar stabilizer complete this innovative design, and the quad-mounting deep-carry pocket clip provides you a variety of carrying options. This knife is incredibly sharp and locks up more solid than any knife I've ever owned! Thanks Kennesaw Cutlery!